550.00 sqft. - 800.00 sqft. Surrounded by tranquil settings, Nimai Place is a modern residential development by Nimai Developers at Sector 114 in Gurgaon. Tucked with all the amenities and facilities, this aesthetic project ensures that you live a plush and comfortable lifestyle. Allowing maximum sunlight and ample ventilation, every abode is planned by the architectures to maintain spaciousness and privacy. Connected to all the conveniences, the builder ensures that residents breathe fresh air and live a healthy life. Well appointed with all the fittings and fixtures, it ensures that you celebrate every moment you spend over here. Sector 114, Bajghera is a fast developing area in Gurgaon, Haryana. Located near Bajghera and Chaunma Road, this region is well connected to the nearby areas. Gurgaon and Bijwasan Railway Stations are the nearest stations from this place. Royal Oak International School, Gems International School and Delhi Public School are few reputed educational institutes located in and around this area. Hospitals like Metro Life Line Hospital, Chetanya Hospital are also located close by. Owing to its good connectivity, presence of basic social infrastructure and peaceful neighborhood, Sector 114, Bajghera is fast attracting a number of Real Estate developers, inhabitants and investors. 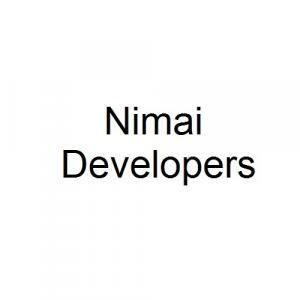 Nimai Developers is a name to trust upon in the Real Estate Domain. Having a rich wealth of knowledge and expertise in Realty domain, they are well known among the customers. They are committed to giving their customers complete satisfaction while buying the house. While planning, every small detail has been taken care of with all the major amenities incorporated. They boast of a strong team of engineers and architects who are highly skilled and committed to building finest structures that offer dream homes to people. The company has taken special care to handle such issues with their state-of-the-art solutions especially meant for the same.